How does the heart pump blood around the body? How do organisms develop, grow and reproduce? Investigate the answers to these and other fascinating questions in a course which focuses on life itself. This stimulating course is packed full of drawings, diagrams and graphs to help you master the topic easily. 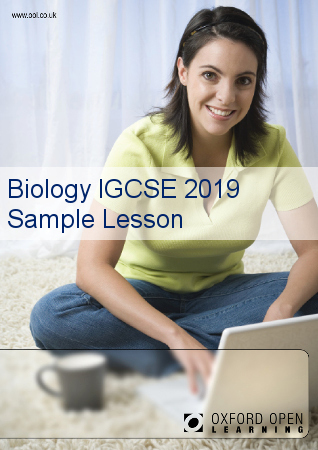 The International GCSE Biology course enables students to develop a range of scientific skills as they work with diagrams, graphs, statistics, photographic images and online media. Students should have internet access to carry out some of the research and lesson activities. 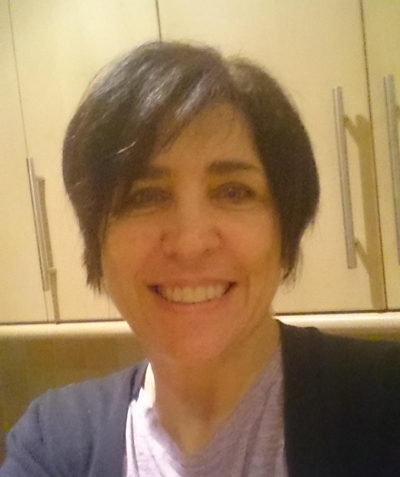 To find out more about the course click on the link to the course introduction in the sidebar to the right of this page. Oxford Open Learning’s International GCSE Biology course is designed to prepare students for the Edexcel International GCSE in Biology (4BI0) for exams up until January 2019. 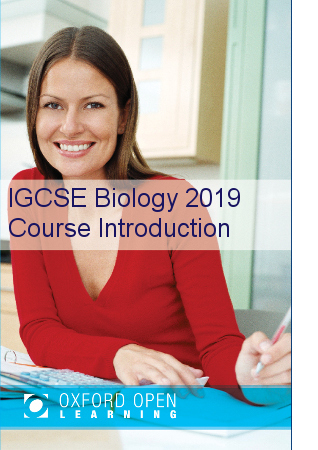 We are also offering a new Biology IGCSE course for exams in Summer 2019 and beyond. This will be under the Edexcel Syllabus 4BI1. Paper 1: 2 hours. Worth two-thirds of the marks. Paper 2: 1 hour. Worth one-third of the marks. The course will be graded A* to G. For exams in Summer 2019 and beyond (4BI1): Paper 1: 2 hours, 61% of the overall marks. Paper 2: 1 hour and 15 minutes, 39% of the overall marks. This course will be graded using the new 9-1 grading system. What's the difference between GCSE and IGCSE Biology? The international GCSE Biology is of the same level as a GCSE and is examined by Edexcel, one of the UKs most trusted examination boards. A key difference is that IGCSE Biology does not include practical course work, making it convenient for distance learners. The Biology International GCSE qualification is accepted as at least the equivalent of GCSE in UK sixth form colleges, FE colleges, universities and other HE institutions. How much does the Biology IGCSE course cost?